Our teaching from Torah, The Law of Moses will continue from Numbers 27.1-11. AND THE TITLE OF OUR MESSAGE IS, INHERITANCE. NUMBERS 27.1-3 What did the daughters mean when they said, Our father died in the wilderness and he was not in the company of them that gathered themselves together against The LORD in the company of Korah? Korah was a Levite. And those who were gathered together with him were from the Tribes of Levi and Reuben. And they all came against Moses. A crowd of two hundred and fifty Leaders of the Congregation of Israel. And they were famous, men of renown. Men of authority. And they said to Moses and Aaron, You’ve gone too far, for all Israel is Holy, all of them. And The LORD is among us. Why then do you raise yourselves above the Congregation of The LORD? When Moses heard this, he fell on his face. Because he knew trouble was ahead for those rebels. He knew that rebelling against GOD’S appointed leadership will certainly bring trouble to the rebellious. And Moses said to Korah and his gang, Come morning, The LORD will make known who is His and who is Holy. And He will grant access to the one He has chosen to come near to Him. And Moses told Korah and his gang of two hundred and fifty men to take fire pans and put fire in them. And put incense in them before The LORD. Then the man whom The LORD chooses will be the Holy one. You have gone too far sons of Levi, Moses said. And Moses said to Korah the Levite, Hear me sons of Levi. Is it not enough for you that The GOD of Israel has set you apart from the Congregation of Israel and given you access to Him to perform the duties of The LORD’S Tabernacle and to minister to the Congregation and serve them? And The LORD has brought you near to Him and all your fellow Levites with you. And you seek the Priesthood also? AND THE LORD SPOKE TO MOSES AND AARON SAYING, SEPARATE YOURSELVES FROM AMONG THIS CONGREGATION THAT I MAY CONSUME THEM IN A MOMENT. And Moses and Aaron fell on their faces, and said, O GOD, The GOD of the spirits of all flesh, will one man sin and will you be wroth with all the Congregation? And The LORD said to Moses, Speak to all the Congregation and say to them, Withdraw from the tents of Korah and his followers. And Moses told the Congregation, Depart from the tents of these wicked men and touch nothing that belongs to them lest you also will be consumed in all their sins. So they withdrew from every side of the rebels. And Moses said to the Congregation, By this you will know that it was The LORD Who sent me to do all these things. That they are not of my own mind. If these men die as all men do, if they die the common death of all mankind, it was not The LORD Who sent me. But if The LORD makes a new thing, and the earth opens her mouth and swallows them up with all that belongs to them, and they go down alive into the pit into sheol (hell), you will understand that these men provoked The LORD. Scarcely had Moses finished speaking when the ground under the rebels burst open, and the earth opened its mouth and swallowed them up with all their households. All the rebels that ganged up with Korah went down alive into sheol with all their goods, into the pit. And the earth closed on them and they perished from among the Congregation. And all Israel that were around them fled at the cry of them, for they said, The earth might swallow us up also. And there came out fire from The LORD and consumed the two hundred and fifty rebels. But yet Korah’s children did not die because they were not involved in their father’s crime. For GOD says, The son shall not bear the iniquity of his father, neither shall the father bear the iniquity of his son. The Righteousness of the Righteous shall be upon him. And the wickedness of the wicked shall be upon him. FOR GOD IS RIGHTEOUS. HIS VERDICTS ARE TRUE. NUMBERS 27.2-5 Zelophehad, the father of the daughters had no sons, but five daughters when he died. The question posed by the five daughters was about the laws of inheritance of property. Their father died leaving five daughters, but he had no sons. And at that time in Israel, inheritance of property was left only to the male members of the family. So a change had to be made in the laws of inheritance. So the daughters of Zelophehad came forward and stood before Moses and Eleazar The Priest, and before the Leaders of the Congregation, and all the Congregation at the door of the Tabernacle. And they said, Our father died in the wilderness and he was not in the company of them that gathered themselves together against The LORD in the company of Korah. But he died in his own sin, and he had no sons. Why should the name of our father be done away from among his family because he had no son? Give us our inheritance of Land among our family from within the Tribe of Manasseh. The word inheritance or inherit is described by the American Heritage College Dictionary as receiving property or a title for example, from an ancestor or one’s parent or parents by legal succession or Will. THE ANCESTOR OR PARENT GIVING THE PROPERTY FOR AN INHERITANCE IN THIS EVENT IS OUR FATHER, GOD ALMIGHTY. And Moses brought their case before The LORD. How Moses brought their request to The LORD, I don’t know. Perhaps he just asked Him and The LORD answered. Or perhaps by Urim and Thummim that is in the Priest’s breastplate that gives GOD’S decisions on important questions that are beyond human judgment. And GOD gave Moses His answer. And The LORD said to Moses, The request of the daughters of Zelophehad is just. You shall give them a possession of inheritance among their father’s family and transfer their father’s inheritance to them. And The LORD continued speaking to Moses, saying, Speak to the Children of Israel, saying, If a man dies and has no son, then you shall cause his inheritance to pass to his daughter or daughters. And if he has no daughter, then you shall give his inheritance to his brothers. And if he has no brothers, then you shall give his inheritance to his father’s brothers. And if the father has no brothers then you shall give his inheritance to his relative closest to him of his family and he shall possess it. And it shall be unto the Children of Israel a statute of judgment as The LORD commanded Moses. Thus the Biblical Laws for inheritance of Land among the Tribes of Israel when Israel is divided among the Tribes is the deceased man’s sons, his daughters, then his brothers, his father’s brothers, and then the relative closest to him of his family. Inheritance from The LORD OUR GOD is not only property or land, though they are very important. BUT INHERITANCE OF ETERNAL LIFE IN THE MESSIANIC KINGDOM, THE ONE THOUSAND YEAR MILLENNIUM IN ISRAEL, AND ETERNAL LIFE IN HEAVEN CAN ONLY BE INHERITED FROM THE LORD GOD OF ISRAEL AND NO ONE ELSE. AND GOD TELLS US HOW WE INHERIT ETERNAL LIFE. YESHUA THE MESSIAH SAYS, BLESSED ARE THE MEEK FOR THEY SHALL INHERIT THE EARTH. THE MEEK ARE THE HUMBLE, THE YIELDING, THE SUBMISSIVE AND OBEDIENT TO GOD. THEY ARE NOT PROUD. THE EARTH IS THE MESSIANIC KINGDOM ON EARTH, THE ONE THOUSAND YEAR MILLENNIUM WITH KING MESSIAH YESHUA REIGNING IN JERUSALEM. AND THE EARTH IS ALSO THE HOLY CITY, NEW JERUSALEM THAT IS ALSO HEAVEN THAT WILL COME DOWN FROM GOD OUT OF HEAVEN AFTER THE CLOSE OF THE ONE THOUSAND YEAR MILLENNIUM ON EARTH IN ISRAEL. THE PROUD REJECT GOD’S WORD SPOKEN IN THE BIBLE. AND THEY REJECT GOD’S LAWS THAT ARE WRITTEN IN THE LAW OF MOSES. THEY REJECT GOD’S TEACHING THAT THERE IS ONLY ONE GOD AND NO OTHERS. AND THEY REJECT THE MESSIAH YESHUA BEING THAT ONE GOD. AS AN EXAMPLE, A FAMOUS PASTOR, A VERY FAMOUS PASTOR ON TV WAS ASKED THIS QUESTION. PASTOR, IN JOHN 14.9, JESUS SAID, HE THAT HAS SEEN ME HAS SEEN THE FATHER. IS JESUS THE FATHER? AND THE PASTOR SAID, NO, JESUS IS NOT THE FATHER. HE’S THE SON. THAT IS PRIDE AND ARROGANCE, REJECTING THE SPOKEN WORD OF GOD IN THE BIBLE WHEN JESUS SAYS, HE IS THE FATHER. AND THAT LIE IS DESTRUCTIVE TO THE PASTOR AND HIS FOLLOWERS. BELIEVING THAT JESUS, THE MESSIAH YESHUA IS NOT GOD THE FATHER IS BELIEVING THAT MESSIAH IS ANOTHER god. AND THAT IS PAGANISM, BELIEF IN MORE THAN ONE GOD OR IN MANY gods. AND THAT LIE OPENS THE DOOR TO EVEN MORE LIES. ON THE OTHER HAND, THE MEEK ARE SUBMISSIVE TO GOD AND OBEDIENT TO HIM. THE MEEK LIVE BY EVERY WORD THAT PROCEEDS OUT OF THE MOUTH OF GOD. AND THE MEEK LIVE BY ALL GOD’S LAWS THAT ARE WRITTEN IN THE LAW OF MOSES. AND THE MEEK BELIEVE IN ONE GOD. THEY BELIEVE THAT THE ONE GOD IS MESSIAH YESHUA, GOD ALMIGHTY, HA SHEM, THE FATHER. THUS MESSIAH YESHUA SAYS, THE MEEK SHALL INHERIT THE EARTH. THEY WILL INHERIT ETERNITY FROM GOD ALMIGHTY. THEY WILL INHERIT THE MESSIANIC KINGDOM ON EARTH IN ISRAEL, THE ONE THOUSAND YEAR MILLENNIUM WITH MESSIAH YESHUA REIGNING FROM JERUSALEM OVER ALL THE EARTH. AND THEY WILL INHERIT ETERNAL LIFE IN HEAVEN AT THE CLOSE OF THE ONE THOUSAND YEAR MESSIANIC KINGDOM ON EARTH IN ISRAEL. THE PEOPLE WHO BLESS THE JEWISH PEOPLE, MESSIAH YESHUA’S BRETHREN, AND BLESS ISRAEL WILL INHERIT THE KINGDOM OF GOD. THEY WILL INHERIT ETERNAL LIFE IN HEAVEN. The word Commandments in Greek in verse 19 is ENTOLAY. According to Strong’s Concordance, ENTOLAY is an Injunction. And according to Websters Dictionary, AN INJUNCTION IS A COMMAND OR AN ORDER. GOD’S Commandments and all His Laws that are written in The Law of Moses that includes GOD’S Ten Commandments are GOD’S Injunctions, His Commands and Orders to all mankind. However for those who believe that Messiah Yeshua is only speaking of the Ten Commandments, (He is speaking of the entire Law of Moses) The Ten Commandments require belief in ONE GOD. And since Yeshua The Messiah is GOD and there in only ONE GOD, The Ten Commandments require belief that Yeshua The Messiah is that ONE GOD. That Messiah is The Father, The Son, The Spirit and The Holy Spirit. HE IS GOD ALMIGHTY THE FATHER. Also part of the Ten Commandments is keeping GOD’S Commandments. Commandments in Hebrew is MEETZVOTE meaning Collectively All The Law. Keeping and obeying ALL the Laws that are written in The Law of Moses. (MARK 10.21-22) Messiah said to the one who asked the question, sell whatsoever you have and give it to the poor, and you will have treasure in Heaven. And come and take up the cross and follow Me. The Greek Word for whatsoever, as in, Sell whatsoever you have is HOSOS also meaning MUCH or MANY. Messiah said to the rich man, Sell much of what you have and give the money to the poor and you will have treasure in Heaven. And come and take up the cross and follow Me. INHERITING ETERNAL LIFE REQUIRES OBEDIENCE TO GOD. OBEDIENCE TO THE COMMANDMENTS OF GOD. HAVING ATONEMENT IN THE MESSIAH YESHUA. OBEYING EVERY WORD GOD SPEAKS IN THE BIBLE. THAT INCLUDES THE LAW OF MOSES AND THE LAW OF MOSES INCLUDES THE TEN COMMANDMENTS. LUKE 10.25-28 VERSE 26. WHAT IS WRITTEN IN THE LAW? THE LAW IS THE TORAH, THE LAW OF MOSES. DO IT AND YOU SHALL LIVE, MESSIAH SAID. Unrighteous in Greek is ADIKOS meaning unjust, specifically a heathen. A heathen rejects GOD’S Word. A heathen rejects GOD’S Laws that are written in The Law of Moses. And a heathen believes in more than one GOD. By believing that Jesus or Yeshua is GOD but not GOD The Father, that is being a heathen. Believing in more than One GOD or many gods. The Righteous, on the other hand inherit the Kingdom of GOD. The Righteous are the opposite of the unrighteous. The Righteous obey all GOD’S Laws that are written in The Law of Moses. That includes belief in Messiah Yeshua for Atonement. And the Righteous believe in One GOD. That Messiah Yeshua is that One GOD. THE NEW COVENANT, THAT IS THE NEW TESTAMENT IS FULLY PART OF TORAH, THE LAW OF MOSES. SEE HEBREWS 8.6 IN THE COMPLETE JEWISH BIBLE. AND INVESTIGATE THE WORDS OF HEBREWS 8.6 IN THE CHRISTIAN BIBLE FROM YOUR STRONG’S CONCORDANCE. REVELATION 21.7 GOD says, He or she who overcomes shall inherit all things. And I will be their GOD, and they shall be My Child. I believe overcoming is overcoming the world that is top heavy with sin. And overcoming is getting the victory over sin. And sin is breaking The Law of Moses. 1 John. 3.4 The world rejects all The Laws, Teachings and Instructions of GOD and His Messiah. The world has cast off All GOD’S Laws that are written in The Law of Moses. That is sin, and the world lies in sin. But the righteous overcome it. And we inherit Glory and Honor from GOD ALMIGHTY. PROVERBS 3.35. Our teaching will continue in Torah, The Law of Moses from Numbers 26.57-65. AND THE TITLE OF OUR MESSAGE IS, WHO ARE THE LEVITES? And with that said, let’s read Numbers 26.57-65. Levi in Hebrew is LAY’VEE that means Attached or Accompany. The Bible says, When The LORD saw that Leah was hated, meaning that Jacob loved Rachel more than Leah, The LORD opened Leah’s womb, but Rachel was barren. So Leah, Rachel and their two maids gave birth to twelve boys and a girl Dinah, Jacob’s thirteen children. The twelve sons of Jacob are the fathers of the twelve Tribes of Israel. Reuben, Simeon, Levi, Judah, Dan, Naphtali, Gad, Asher, Issachar, Zebulun, Joseph, and Benjamin. Years later, Jacob’s son Joseph had miraculously become the Governor of Egypt under Pharaoh. And at Joseph’s invitation to Jacob to move his family from Canaan down to Egypt to escape the great famine, Jacob brought his family of sixty-nine people. The entire Jewish population of seventy including Joseph were now in Egypt. After Pharaoh, Jacob, Joseph, and the fathers of the twelve Tribes of Israel died in Egypt, the new Pharaoh did not know Joseph. And this Pharaoh feared the Jewish People and hated them. So he made them slaves. And slaves they were for four hundred years under the various Pharaohs. Jewish mothers, like all mothers like to show off their children. My son the Doctor. My son the Lawyer. But Jochebed could say, My son Moses, my son Aaron, my daughter Miriam. She was blessed. And there in Midian Moses married the daughter of the Priest of Midian. And he became the shepherd for the Priest’s flock. And Moses led the sheep to the backside of Mount Sinai where GOD appeared to Moses in a flame of fire out of a bush that burned but it didn’t consume. And GOD called out to Moses from the bush and said Moses, Moses. And Moses said, Here am I. And GOD said, do not come closer. Take off your shoes for the Place where you are standing is Holy Ground. And GOD said, I am The GOD of your father, The GOD of Abraham, The GOD of Isaac, and The GOD of Jacob. And Moses hid his face for he was afraid to look upon GOD. And The LORD said, I have surely seen the affliction of My People, for I know their sorrows. And I have come down to deliver them out of the hand of the Egyptians and bring them up out of that land to a good Land and large, to a Land flowing with milk and honey. Come now, The LORD said, and I will send you to Pharaoh and you shall bring forth My People The Children of Israel out of Egypt. And Moses, not all that sure that he was the guy for the job, began to find excuses not to do GOD’S Assignment. Who am I that I should go to Pharaoh and bring forth The Children of Israel out of Egypt? And GOD said, Certainly I will be with you. And Moses said, When I come to The Children of Israel and say to them, The GOD of your fathers has sent me to you, and they will say to me, What is His Name? What shall I say to them? And GOD said to Moses, I AM THAT I AM. You shall say to The Children of Israel, I AM has sent me to you. And GOD said to Moses, Thus shall you say to the Children of Israel. The LORD GOD of your fathers, The GOD of Abraham, The GOD of Isaac, and The GOD of Jacob has sent me to you. This is My Name forever, and this is how I am to be remembered to all generations. Go, The LORD said to Moses, and gather the elders of Israel together, and say to them, The LORD GOD of your fathers, The GOD of Abraham, of Isaac and Jacob appeared to me saying, I have surely visited you and seen that which is done to you in Egypt. And I have said, I will bring you up out of the affliction of Egypt to the land of the Canaanites, and the Hittites, and the Amorites, and the Perizzites, and the Hivites and the Jebusites to a Land flowing with milk and honey. And they will listen to you, and do what you say. And you shall come, you and the elders of Israel to the King of Egypt. And you shall say to him, The LORD GOD of the Hebrews has met with us, and now let us go, we ask you, three days journey into the wilderness that we may sacrifice to The LORD OUR GOD. And I am sure that the King of Egypt will not let you go except by a Mighty Hand. And I will stretch out My Hand and punish Egypt with all My Wonders. And after that he will let you go. And Moses said to GOD, The Children of Israel will not believe me. They will not do what I say. They will say, The LORD has not appeared to you. And GOD said to Moses, what is that in your hand? And he said, a rod. And GOD said, toss it on the ground, and he did. And the rod became a serpent, and Moses ran from it. And The LORD said to Moses, Take it by the tail, and Moses did, and it became a rod in his hand. And The LORD said, Put your hand into your bosom. And Moses did as The LORD said. And when he took his hand out, his hand was leprous as snow. And GOD said, Put your hand into your bosom again. And Moses put his hand into his bosom again. And when he took his hand out of his bosom, his hand turned again as his other flesh. And GOD said, If they will not believe you, nor listen to you, then you shall take the water of the river and pour it on dry land. And the water that you take out of the river will become blood upon the dry land. But Moses said to The LORD, O MY LORD, I am not eloquent. I am not a man of words. And The LORD said to Moses, Who has made man’s mouth? Or Who makes the dumb or the deaf, or the seeing, or the blind? Have not I The LORD? Now therefore go and I will be with your mouth and teach you what you should say. And Moses said to The LORD, Please LORD, Send someone else. And the anger of The LORD was hot against Moses, and He said, Is not Aaron the Levite your brother? I know that he can speak well. And also he is coming to meet you. And when he sees you he will be glad in his heart. And you shall speak to him and put words in his mouth. And I will be with your mouth and with his mouth. And I will teach you what you should do. And Aaron will be your spokesman to the People. And he will be for you a mouth. And for him you will be like GOD. And you shall take this rod in your hand and with it you will do signs. And the Children of Israel left Egypt in the Exodus by the Mighty Hand of GOD, led by Moses after 400 years of Egyptian slavery. That same night GOD made the first night of Passover. AND ISRAEL HAD GROWN FROM A FAMILY TO A NATION. After GOD miraculously opened the Red Sea for The Children of Israel to cross on dry ground, they camped in the Wilderness of Sinai at the foot of Mount Sinai on their way to the Promised Land Canaan that GOD renamed Israel after Jacob. And in the wilderness, GOD gave His People His Torah to live by. His Laws, Teachings, and Instructions called The Law of Moses for His People to be a Holy People, GODLY, and Righteous in the sight of THE LORD THEIR GOD. The very foundation of The Jewish People, and the foundation for all peoples who desire to lead a Holy life pleasing to GOD. BECAUSE WITHOUT THE TEACHING OF ALL GOD’S LAWS THAT ARE WRITTEN IN THE LAW OF MOSES, PEOPLE WILL TURN TO PAGANISM AND GODLESS BEHAVIOR. THE LEVITES WERE CHOSEN BY GOD. A MINISTRY OF JOY TO SERVE THE LORD THEIR GOD. And GOD appointed Aaron the Levite to be High Priest, and his sons Priests to minister to The LORD. And Holy Garments for Glory and Beauty were made for Aaron and his sons. A breastplate was made for Aaron with twelve onyx stones engraved with the names of the twelve Tribes of The Children of Israel. And the Urim and Thummim to obtain GOD’S decisions on matters beyond human judgment was placed in the breastplate. And an ephod that is like an apron was made of gold and blue, and a robe, and a broidered coat. A mitre, and a decorated band for a belt. And on the hem of Aaron’s robe were pomegranates of blue, purple and scarlet. And bells of gold for a sound to be heard when he went into the Holy of Holies before The LORD, and when he came out so that he did not die. The Priests were in charge of the Ark of the Covenant, the Altar, the Menorah, the seven branch Candlestick, the Altar of Incense, all the sacrificial offerings, the laver for washing, and the oil and perfume. The Priests were responsible for everything in the Tabernacle. The Priesthood is active when there is a Temple in Jerusalem. And must remain Jewish forever. No one, not the Levites or anyone were allowed to see the Holy Vessels in the Tabernacle or touch them lest they die. Those functions were for the Priests only. The Levites ministered to Aaron the High Priest and his sons leaving the Priests free to do their duties. But unfortunately, all the functions of the Levites, their privileges, their tithes, teaching Torah to the People were removed during Second Temple times. They were not removed by GOD. (LUKE 1.5, 1 CHRONICLES 24.10) John the Immerser/Baptizer’s father Zachariah was a Priest. More evidence that the New Testament is a Jewish Book that follows all GOD’S Laws that are written in the Law of Moses in the first five Books of the Bible.. The Levites were singers and praisers to The LORD, and played musical instruments in The Temple. And it is said that certain Levites wrote Psalms. And in the Millennium, the one thousand year Messianic Kingdom in Israel when The LORD MESSIAH YESHUA RETURNS, the functions of the Levites, and the functions of the Priests will be exactly the same as taught in Torah, The Law of Moses. And the sacrifice will be reinstated. When there is a Temple standing in Jerusalem, there must be the sacrifice. It is written. The Church is not the Kingdom of Priests. To be part of the Kingdom of Priests, the Church and all people must have Atonement in Messiah Yeshua, obey GOD’S Voice, and keep His Covenant, GOD’S Word and His Laws that are written in The Law of Moses. Then you shall become fully part of GOD’S Kingdom of Priests. Posted on February 19, 2017 February 19, 2017 Categories Shabbat MessageLeave a comment on WHO ARE THE LEVITES? WHY IS THE WORLD OUTRAGED BECAUSE ISRAEL IS BUILDING HOMES FOR JEWISH PEOPLE IN ISRAEL? We are continuing our studies in Torah, The Law of Moses from Numbers 26.52-56. AND THE TITLE OF OUR MESSAGE IS, WHY IS THE WORLD OUTRAGED BECAUSE ISRAEL IS BUILDING HOMES FOR JEWISH PEOPLE IN ISRAEL? I took this title from a Yahoo article on their website that has the title, U.S. TIGHT-LIPPED AS ISRAEL SETTLER LAW SPARKS WORLD OUTRAGE. The Children of Israel were in the Plains of Moab by the Jordan River near Jericho. If you were looking at a map today, the Children of Israel who are the Jewish People were in today’s Kingdom of Jordan by the Jordan River, near Jericho on the Israel side. And they were preparing to enter that Promised Land, the land of Canaan that GOD would rename Israel. Canaan’s boundaries extended from a River in Egypt to the Euphrates River that flows through the northern portions of today’s Syria and Iraq. That will be Israel’s boundaries when Messiah Yeshua returns to establish His Messianic Kingdom on earth in Israel for one thousand years. Those who will enter Messiah Yeshua’s Messianic Kingdom on earth in Israel followed GOD correctly according to Scripture, having Atonement in The Messiah Yeshua, and obeyed GOD’S Torah, His Law of Moses. And have blessed His Jewish People and Israel. They did not curse the Jewish People nor did they curse Israel. Those who curse the Jewish People and Israel will never enter the Messianic Kingdom nor will they ever see Heaven. Jewish People have been living in Israel, their GOD given Homeland for 3,400 years. To many, The LORD said, you shall give the more inheritance. And to few, you shall give the less inheritance. So the LORD GOD Who created Heaven and earth, Who owns Heaven and earth and all that are in them, gave the land of Canaan to The Jewish People for as long as the earth remains. Today, 3,400 years later, The Land of Israel is still the Land of Israel. It has always been the Land of Israel. And Israel is still the Jewish Homeland. GOD’S Word, His Gifts and His Callings are irrevocable. They are irreversible and final. The Bible is the Title Deed for the Jewish People. The Bible is proof that The Land of Israel belongs to the Jewish People for as long as the earth remains. It is written. The Land of Israel does not belong to the Palestinians. It does not belong to the Christians. Nor does the Land of Israel belong to the Arabs. The Land of Israel belongs exclusively to the Jewish People and no one else. And Jerusalem, Israel’s Eternal Capital belongs exclusively to the Jewish People and no one else. Yet billions of people throughout the world, even here in the United States, and throughout Europe and the Arab lands, Christians and Arabs, and even some mashuganah Jews are outraged because Israel is building homes for Jewish People in Israel. In Judea and Samaria that is Israeli Land that the world calls the West Bank. And those billions of people are outraged that Israel claims Jerusalem to be their Eternal Capital even though Jerusalem is fully part of GOD-GIVEN ISRAEL as Washington D.C. is fully part of the United States. Billions of Christians and many Jewish People have Bibles in their homes. Can’t they read the simple language that is written throughout The Bible that Israel with Jerusalem their Eternal Capital and Holy City belongs to the Jewish People forever? That Israel is the Jewish Homeland forever? That never changes. SO WHY ARE THEY OUTRAGED? IS IT ANTI-SEMITISM? GOD NEVER CALLED ISRAEL PALESTINE. Palestine is a false name the Romans gave the whole Land of Israel in 135 C.E/AD some sixty-five years after they destroyed Jerusalem and The Temple and killed some one million Jewish People. The first Palestinians were Jewish because the world did not see fit to call Israel, Israel until 1948. The world preferred to follow the dictates of Rome rather than the Commandments of GOD. HERE ARE SOME STAGGERING NUMBERS FOR YOU TO CONSIDER. ISRAEL, THE JEWISH HOMELAND IS WRITTEN IN THE BIBLE 2,644 TIMES. WHILE PALESTINE IS WRITTEN IN THE BIBLE ZERO TIMES. Yet some Christian Bibles intentionally write the word Palestine once, and Palestina twice in the Bible. They are wrong because the Hebrew word for Palestine and Palestina is Peh’lah’shet meaning Philistine. The Philistines were a Greek speaking people. And the Philistines are an extinct people. SO WHY IS THE WORLD OUTRAGED BECAUSE ISRAEL IS BUILDING HOMES FOR JEWISH PEOPLE IN ISRAEL? The West Bank is a false name for Israel’s Judea and Samaria. Judea and Samaria have always been fully part of Israel ever since the Jewish People arrived in Canaan 3,400 years ago. And when Israel declared her Independence in 1948, Jewish People were living in Judea and Samaria which the world now calls the West Bank. THE WEST BANK IS NOT OCCUPIED BY JEWISH PEOPLE. THE WEST BANK IS UNLAWFULLY OCCUPIED BY PALESTINIAN ARABS. THE WEST BANK BELONGS TO ISRAEL AS MUCH AS NEW ENGLAND FROM CONNECTICUT TO MAINE BELONGS TO AMERICA. AS MUCH AS PARIS BELONGS TO FRANCE. AS MUCH AS LONDON BELONGS TO ENGLAND. THE JEWISH PATRIARCHS, ABRAHAM, ISAAC AND JACOB, THE FATHERS OF THE JEWISH PEOPLE, AND JACOB’S TWELVE SONS, THE FATHERS OF THE TWELVE TRIBES OF ISRAEL, ALL LIVED IN JUDEA SOME 4,000 YEARS AGO THAT TODAY THE WORLD CALLS THE WEST BANK. KING DAVID WAS BORN AND ANOINTED IN BETHLEHEM OF JUDEA 3,000 YEARS AGO THAT TODAY IS CALLED THE WEST BANK. JESUS, THE JEWISH MESSIAH, WAS BORN 2,000 YEARS AGO IN BETHLEHEM OF JUDEA THAT THE WORLD IS HAPPY TO CALL THE WEST BANK. WHO IS THE UNITED NATIONS TO EVEN PROPOSE GIVING THE ARABS LAND IN ISRAEL IN JUDEA AND SAMARIA KNOWN AS THE WEST BANK FOR AN ARAB STATE CALLED PALESTINE? IS THE UNITED NATIONS ROME? AND WHY WOULD THE WORLD BE OUTRAGED BECAUSE ISRAEL IS BUILDING HOMES FOR JEWISH PEOPLE IN ISRAEL? THEIR OUTRAGE IS SORELY MISPLACED. THERE IS ONLY ONE REASON FOR THEIR OUTRAGE. ANTI-SEMITISM. Would the United States accept Mexico and the Mexicans taking over New York and calling New York their Mexican homeland? Never. Would Saudi Arabia allow Jewish People to take control of Mecca, and call Mecca their Jewish Homeland? Absurd. But Arabs calling themselves Palestinians, a name given to the Jewish People deceitfully by the Romans, say Judea and Samaria the West Bank, and East Jerusalem are theirs. And that’s fine with the world. The world even gets outraged when Israel builds homes for their Jewish People in Israel. How disjointed is that? Many people ask, Why is there anti-Semitism? Why is there so much Jew hate and Israel hate? I can only answer that question from The Bible in GENESIS 3.15. GOD said to satan, And I will put hatred between you satan, and the Woman Israel. And between your demonic anti-Semitic followers and the Jewish People. And the seed of Israel Who is Yeshua The Messiah, GOD Almighty will utterly destroy you satan, and all your anti-Semitic followers. Anti-Semitism is prophesied by GOD. And satan carries it out. And in the end of days it will be anti-Semitism that will cause GOD to gather all the nations of the world to battle against Jerusalem. We are seeing that taking place today right in front of our eyes. The Jewish People in Israel have a saying, Am Y’Israel Chai. The People of Israel Live. And satan will be locked up in the bottomless pit that he will not be able to deceive the nations anymore until one thousand years are complete. And then GOD will let him out for a short time. Only to be destroyed and locked up in hell forever. Gentiles, non-Jewish people have the choice to be blessed by The GOD OF CREATION IF they bless Israel and the Jewish People. Or they have the choice to be cursed by The GOD OF CREATION IF they curse Israel and the Jewish People. Hell is filled with those who cursed Israel and The Jewish People. Take for example the ancient nations and peoples that cursed Israel. Continuously fighting against them, and hating Israel and the Jewish People for no reason. Those Gentile nations and their people are extinct. Gone forever. They no longer exist. Such as the the Philistines, the Moabites, the Midianites, the Amalekites, the Babylonians, the Assyrians, the Canaanites, the Kenites, the Kenizzites, the Kadomites, the Hittites, the Perizzites, the Rephaim, the Amorites, the Girgashites, and the Jebusites. They are dead and gone forever. And those that despise Israel and the Jewish People today, and are outraged that Israel is building homes for Jewish People in Israel, they also will find themselves on top of the same junk heap. HOW OUTRAGED IS GOD THAT ISRAEL IS BUILDING HOMES FOR THEIR JEWISH PEOPLE IN ISRAEL? GOD IS NOT OUTRAGED. BUT PLEASED FOR HIS JEWISH PEOPLE. GOD IS PLEASED FOR HIS JEWISH PEOPLE BECAUSE THE LORD HAS GIVEN HIS JEWISH PEOPLE ALL THE LAND OF ISRAEL FOR AN EVERLASTING POSSESSION WITHOUT INTERRUPTION TO BUILD HOMES AND LIVE PEACEFULLY IN THEIR OWN LAND. AND GOD IS THE GOD OF THE JEWISH PEOPLE FOREVER AND EVER. GOD SAYS TO THE JEWISH PEOPLE, I HAVE LOVED YOU WITH AN EVERLASTING LOVE. THEREFORE WITH LOVING KINDNESS HAVE I DRAWN YOU. Back to our study in Numbers 26.52-56. Even before Israel entered the Promised Land, GOD commanded the Children of Israel to divide the Land by lot for each Tribe according to the number of names in each Tribe. To the many, GOD said, you shall give more inheritance, and to the few, you shall give less inheritance. The distribution of the Land for each Tribe was decided by lot. Today, Israel is not divided by tribe because not all the Jewish People are in the Land. And Israel is much smaller today than it will be in The Messianic Kingdom in Israel when The LORD returns. TODAY ISRAEL IS ABOUT THE SIZE OF NEW JERSEY. WHEN THE LORD RETURNS TO ESTABLISH HIS MESSIANIC KINGDOM ON EARTH IN ISRAEL, THE LAND OF ISRAEL WILL BECOME THE KINGDOM OF GOD, LIKE THE GARDEN OF EDEN WITH THE JEWISH MESSIAH YESHUA, GOD ALMIGHTY, HA SHEM ELOHIM REIGNING AS KING OVER ALL THE EARTH FROM HIS THRONE IN JERUSALEM. AND THE KINGDOM OF GOD ON EARTH IN ISRAEL WILL BE ABOUT THE SIZE OF EUROPE FROM THE RIVER OF EGYPT TO THE EUPHRATES RIVER. AND ISRAEL WILL AGAIN BE DIVIDED BY TRIBE. AND THOSE NON-JEWISH PEOPLE WHO ARE AMONG THE CHOSEN, WHO AS GOD’S CHOSEN JEWISH PEOPLE HAVE MESSIAH YESHUA FOR THEIR ATONEMENT, WHO OBEYED TORAH, THE LAW OF MOSES. AND THOSE NON-JEWISH PEOPLE WHO BLESSED THE JEWISH PEOPLE AND ISRAEL WILL BE TO THE JEWISH PEOPLE IN THE KINGDOM AS BORN IN ISRAEL AMONG THE JEWISH PEOPLE. Posted on February 12, 2017 February 13, 2017 Categories Shabbat MessageLeave a comment on WHY IS THE WORLD OUTRAGED BECAUSE ISRAEL IS BUILDING HOMES FOR JEWISH PEOPLE IN ISRAEL? Our teaching from Torah, The Law of Moses will continue from Numbers 26.7-11. AND THE TITLE OF OUR MESSAGE IS, THE HISTORY OF ISRAEL TO ISRAEL’S MESSIAH YESHUA TOLD IN BIBLICAL GENEALOGIES. And with that said, let’s read Numbers 26.7-11. We’re going to speak on a subject that I hope does not put you to sleep. And that subject is the Genealogical Lists, better known as the begets and begots. The term Genealogy can be defined as a list of names indicating ancestors, or descendants of an individual or individuals. QUESTION? WHY THE MANY GENEALOGIES IN THE BIBLE? THE GENEALOGIES IN THE BIBLE FOCUS ON THE HISTORY OF ISRAEL TO ISRAEL’S JEWISH MESSIAH YESHUA. The ancient Genealogies in Genesis, the first chapter of First Chronicles and others, and the first chapter of Matthew show the birth of humanity that leads up to the birth of Israel. And Israel’s history and its relationship with many of the earlier and current nations. While the Genealogy in the first chapter of Matthew shows the Jewish lineage of Israel’s Messiah Yeshua from Abraham, Isaac, Jacob, and Judah as prophesied in TNAKH, The Old Testament Scriptures. HOWEVER THERE ARE HUGE DISTINCTIONS AND DIFFERENCES BETWEEN ISRAEL AND THOSE EARLIER AND CURRENT NATIONS. ISRAEL TEACHES AND OBSERVES ALL GOD’S LAWS THAT ARE WRITTEN IN THE LAW OF MOSES, AND BELIEVES IN ONE GOD. THE NATIONS, FOR THE MOST PART DO NOT OBSERVE GOD’S LAWS THAT ARE WRITTEN IN THE LAW OF MOSES, NOR DO THEY BELIEVE IN ONE GOD. ADAM IS THE FATHER OF ALL MANKIND. BUT AS NATIONS DEVELOPED, ISRAEL BECOMES THE MAIN SUBJECT OF THE BIBLE. WHILE IN DUE COURSE, ISRAEL’S MESSIAH, YESHUA HA MASHIAKH BECOMES THE MAIN SUBJECT IN THE JEWISH NEW TESTAMENT. AND THROUGH ISRAEL AND THE JEWISH PEOPLE COME ALL THE GREAT BLESSINGS OF GOD TO THE NATIONS. How? 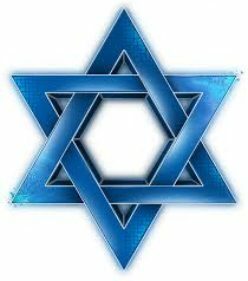 The nations can receive forgiveness of all their sins from The GOD OF CREATION, HA SHEM through belief in the Atoning death of the Jewish Messiah Yeshua. And if the nations do and obey all GOD’S Laws that are written in The Law of Moses in the first five Books of The Bible, doing that which is right in the eyes of GOD, together with their Atonement in The Messiah Yeshua, the nations will receive Salvation and Eternal Life from The LORD GOD. And the nations honor GOD and believe in GOD correctly when they know and believe, and understand that there is only ONE GOD AS GOD HAS TAUGHT HIS JEWISH PEOPLE Knowing and believing that The ONE GOD OF CREATION is The Father, The Messiah, and The Spirit. Also the Genealogies are recorded in The Bible to show the ancestry and the eternal preservation of the Tribes of Israel and the eternal Aaronic Priesthood. And the line of David from which The Messiah comes. THE GENEALOGIES RECORDED IN THE BIBLE ARE ESSENTIAL TO SHOW THE HISTORY OF ISRAEL BECAUSE OF ISRAEL’S UNIQUE AND SPECIAL RELATIONSHIP WITH THE LORD THEIR GOD. GOD’s special relationship with the Jewish People is shown throughout The Bible. For example, GOD has appointed His Jewish People to be a Holy People, and His Witnesses. And as said earlier, The LORD GOD has chosen the Jewish People to be His Witnesses to all mankind. The Bible is a Witness of what GOD requires of all mankind, Jew and Gentile. All GOD’s requirements are written in The Bible from Genesis through Revelation that Jewish People documented in writing The Bible. Thus GOD chose the Jewish People to be His Witnesses. You see, It is GOD’S Chosen People, the Jewish People who lead the nations, and its own People to Salvation and Eternal Life from the Written Word of GOD in The Bible written by Jewish People. (GENESIS 1.26) Again, it’s extremely important to understand what the ONE GOD OF CREATION means when He said, Let US make man in OUR Image. When GOD said, “LET US MAKE MAN IN OUR IMAGE AFTER OUR LIKENESS,” GOD reveals to us that at times He refers to Himself as US. BUT YET THERE IS ONLY ONE GOD. AND THAT ONE GOD IS THE FATHER, THE MESSIAH YESHUA, THE SPIRIT, THE HOLY SPIRIT, THE GLORY OF GOD, MELCHIZEDEK, SOMETIMES THE ANGEL OF THE LORD, SOMETIMES THE ANGEL OF GOD, AND SO MUCH MORE. THEY ARE THE “US” IN LET “US” MAKE MAN IN “OUR” IMAGE. THEY ARE ALL THE SAME GOD. THAT IS IMPORTANT TO ALWAYS KEEP IN MIND. THEY ARE NOT DIFFERENT gods OR SEPARATE gods. THEY ARE NOT A trinity OF THREE DIFFERENT gods. THEY ARE ONE AND THE SAME GOD WHO IN SPIRIT FILLS HEAVEN AND EARTH. WHO CAN PHYSICALLY BE ANYWHERE AND EVERYWHERE AT THE SAME TIME BECAUSE GOD IS GOD. AND WHAT IS IMPOSSIBLE FOR US IS ROUTINE FOR GOD. BECAUSE NOTHING IS IMPOSSIBLE FOR GOD. GENESIS 18.14, MATTHEW 19.26, LUKE 1.37, ISAIAH 55.9, JEREMIAH 23.24, DEUTERONOMY 6.4, MARK 12.29, ETC., ETC., ETC. So here in this Genealogy, even before Cain killed his brother Abel 6,000 years ago, GOD explained what sin is. SIN IS NOT OBEYING GOD. Sin was explained by GOD 6,000 years ago in this Genealogy that applies today and always. Sin is not obeying what GOD Speaks in The Bible. And today that includes GOD’S Laws that GOD Spoke to Moses that are written in The Law of Moses. The Bible has a number of alternative words for “nations” such as Gentiles, heathen, and peoples. The term nations, or Gentiles or heathen refers to every nation other than Israel. The term People usually refers to Israel, or the People of Israel. And The LORD has declared to you this day to be a peculiar People as He has promised you. And that you should keep all His Commandments. (1 PETER 2.7-9) Gentiles become a Chosen Generation, a Royal Priesthood, a Holy Nation, and a Peculiar People when Gentiles, non-Jewish people keep the Commandments of GOD which are all GOD’s Laws written in The Law of Moses. Believing in One GOD, that Messiah Yeshua is that One GOD in Whom you have your Atonement. A peculiar People are a People who are special to GOD, who are a peculiar treasure, a jewel to The LORD. The descendants of Ishmael. GENESIS 25.12-13 FF. Ishmael, the father of many Arabs, was Jewish being born from Abraham. How many Arabs hate the Jewish People? (ISAIAH 11.10) Jesse was David’s father. Messiah Yeshua’s Jewish Genealogy is the beginning of The New Testament that reads, The Book of the generation of Yeshua The Messiah, the Son of David, the Son of Abraham. Abraham beget Isaac, and Isaac beget Jacob, and Jacob beget Judah and his brethren. AND THEN OF COURSE THE JEWISH MESSIAH YESHUA’S GENEALOGY, FOR HE IS GOD ALMIGHTY, HA SHEM ELOHIM, WHO HAS NO BEGINNING AND NO END. So in conclusion, the Genealogies from Adam to Messiah Yeshua lead up to Messiah’s Return and the coming of His 1,000 year Messianic Kingdom in Israel that will be like the Garden of Eden. Followed by Eternity in Heaven. AND IN THE MESSIANIC KINGDOM, AND ETERNITY IN HEAVEN, WE WILL BE WITH MESSIAH YESHUA, GOD ALMIGHTY, HA SHEM ELOHIM FACE TO fACE WITH JOY AND GLADNESS. AND SORROW AND SIGHING WILL FLEE AWAY FOREVER.